Last year, a great bridal couple came to us with the request that we should support them in the area of wedding decoration. When we heard that the wedding should be in January 2019, our eyes shone. A winter wedding, how awesome – we love romantic winter weddings! The crackling in the snow, cuddling together, mulled wine to the reception instead of champagne, lots of candles everywhere, just a very special atmosphere. 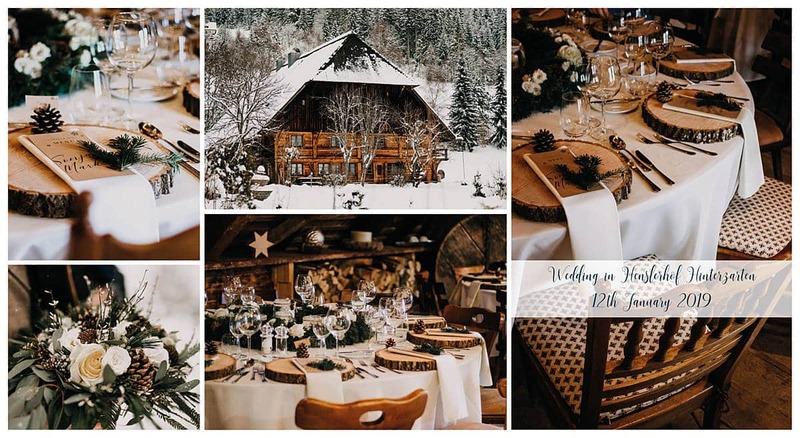 And it was exactly this atmosphere that our bridal couple was allowed to enjoy on the 12th of January – their personal winter fairy tale became reality! As a wedding designer, we create in advance a complete decoration concept from the wedding ceremony to the dinner hall to the champagne reception. 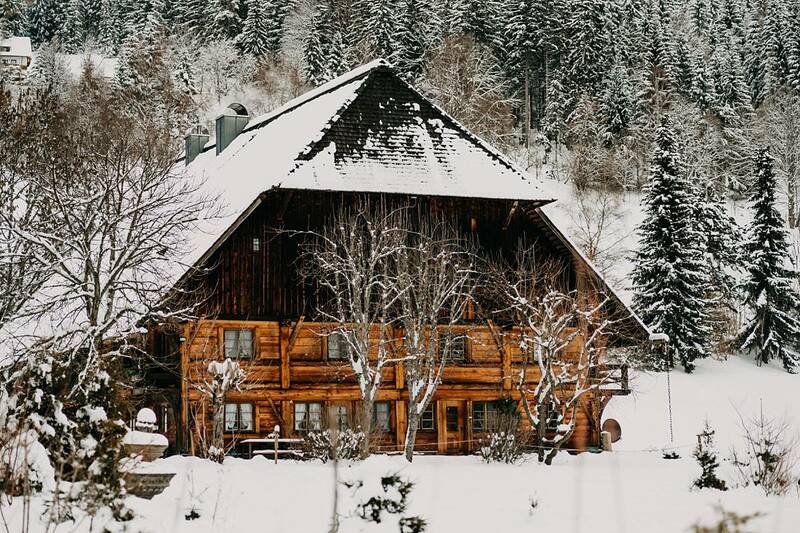 As a dream location for winter weddings, of course, the Henslerhof in Hinterzarten is perfect. 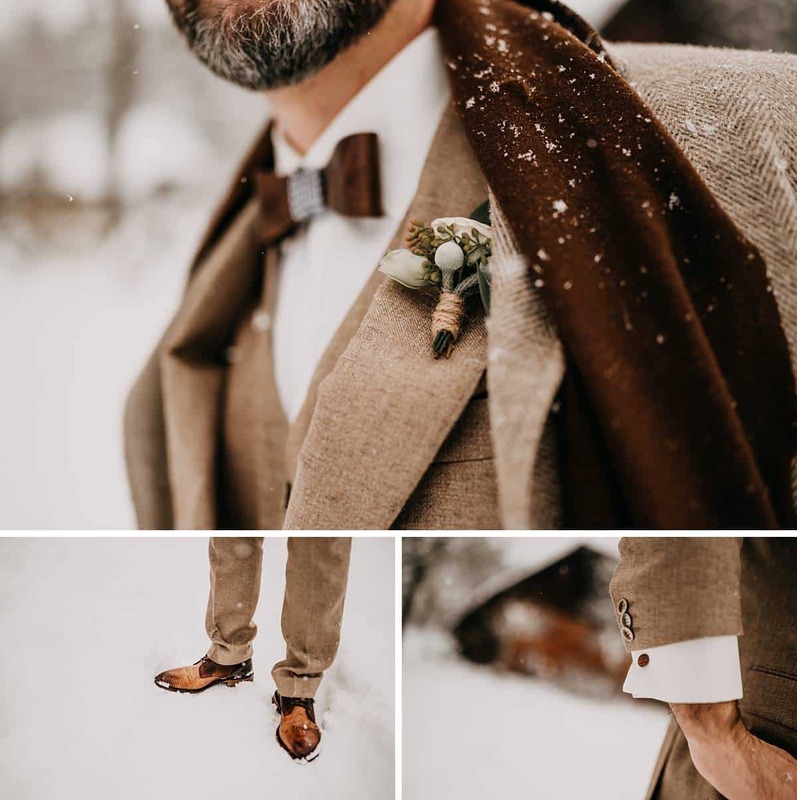 The wedding colors were suitable for the winter in brown, green, cream held, only no red, because it should not look like Christmas. At Floristry we chose wedding decorators then a lot of dark green with pine cones and beautiful white flowers. The free marriage of the two was in the small barn of Henslerhof quite romantic in a small circle. Many artificial skins, tears of handkerchiefs and many candles made for a cozy atmosphere. The dinner took place in the big barn, we wedding designers started early in the morning with snow and icy temperatures with our work. Tablecloths were laid up, wreaths laid on the tables, candles distributed, favors draped and much more. The wooden platter was a special highlight as well as the lovely candle glasses, down with artificial snow and top with lace. Thank you both for your trust and for being part of your Winter’s Tale!